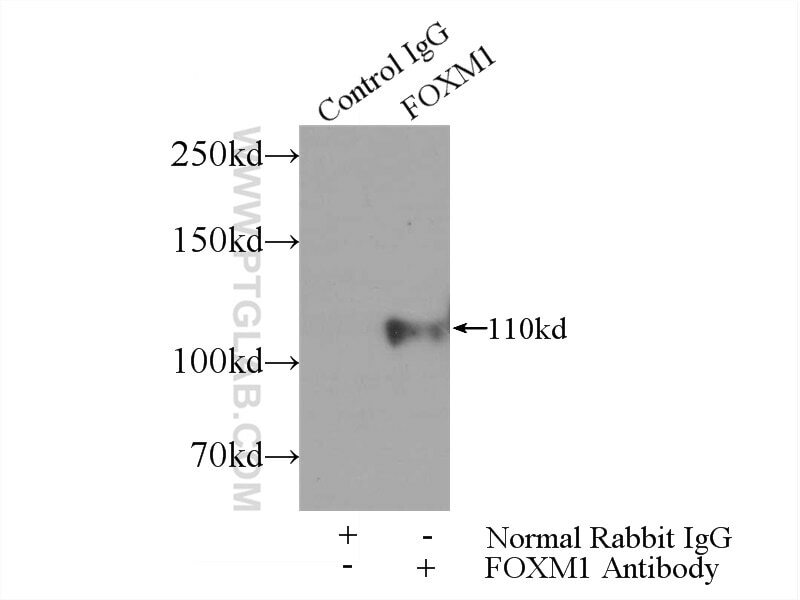 IP Result of anti-FOXM1 (IP:13147-1-AP, 5ug; Detection:13147-1-AP 1:700) with L02 cells lysate 1560ug. Overexpression of FOXM1 predicts poor prognosis and promotes cancer cell proliferation, migration and invasion in epithelial ovarian cancer. FOXM1 regulates glycolysis in hepatocellular carcinoma by transactivating glucose transporter 1 expression. Minute Virus of Mice (MVM) inhibits transcription of the cyclin B1 gene during infection. 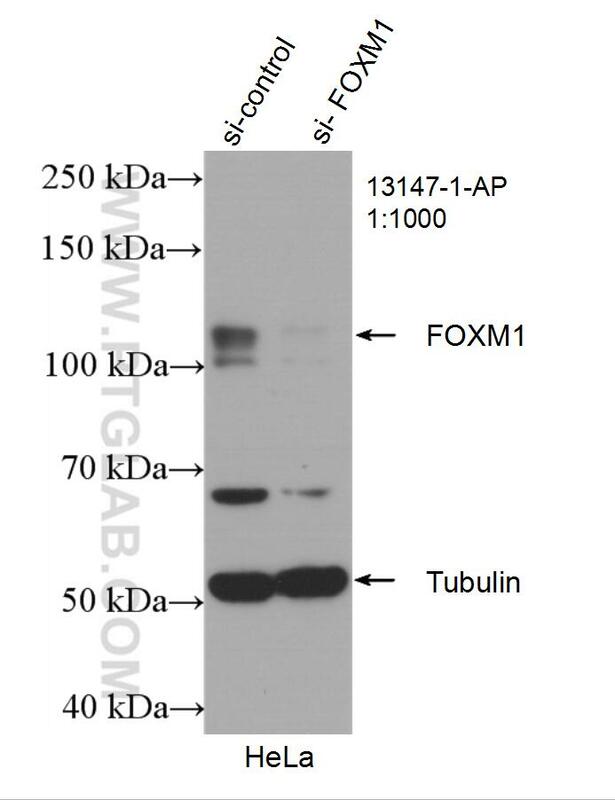 PARI functions as a new transcriptional target of FOXM1 involved in gastric cancer development. Expression and functional characterization of FOXM1 in non-small cell lung cancer. 3-O-acetyl-11-keto-β-boswellic acid exerts anti-tumor effects in glioblastoma by arresting cell cycle at G2/M phase.